What do these changes mean for social media and community managers in the hospitality industry? First, there’s an obvious benefit to being able to see a user’s full name. With this information, which foursquare users have consented to sharing, you will be able to ‘surprise and delight’ more guests by looking up full names in your registration database. I will always remember when Dos Caminos on Third Avenue in New York offered me a complimentary drink just because I chose to share my check-in across my social network. Needless to say, this surprising gesture of kindness has caused me to share this story countless times over and drew me back to the restaurant several more times. 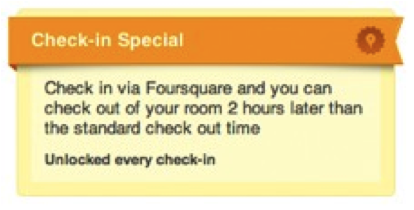 The second implication of foursquare’s new policy – increasing the duration of time that check-ins are visible to venue managers – similarly will improve a hotel or restaurant’s understanding of its social media audience. What many hoteliers and restaurateurs sometimes overlook is that foursquare, particularly in major markets, not only sheds some useful insight into what your most mobility-savvy customers like and dislike about your venue (e.g. tips) but also affords some handy demographic information about your check-in audience. If you are a Revinate user, you are able to manage your foursquare account through the foursquare tab on the Revinate dashboard. Come January 28th, you will now have even more user data at your disposal about your guests. So what should you do in the meanwhile? Make sure that, if you haven’t already, you add your foursquare venue(s) to your Revinate account and perhaps even try starting a Campaign. 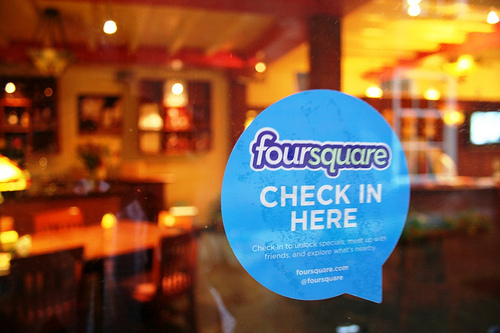 For some specific ideas on what works well on Foursquare, have a look at these examples.